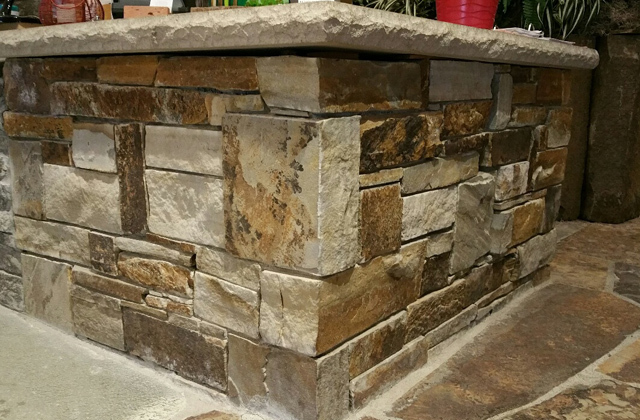 Montana Rustic ledge comes from multiple quarry areas in Montana. Primarily used for mortar set, house veneers, fireplaces, borders and retaining walls. 2″ – 6″ bed depth ledgestone can either be set horizontally or vertically with mortar. Colors have golds, grays, rusts, and browns and comes in blocky and linear form. 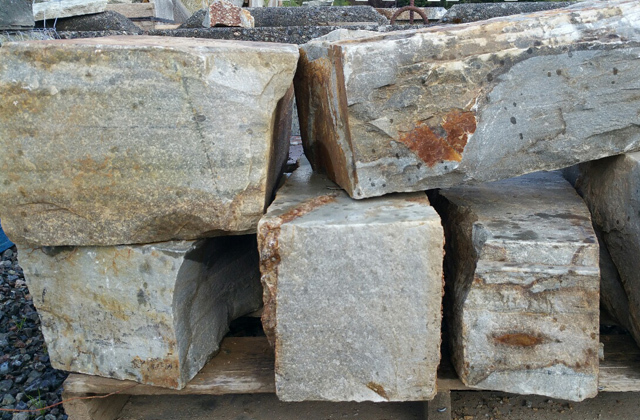 Material is sold by the ton and is available for pick up or for an additional charge we can deliver to you as well. Usual pallet amounts will be 1-1/2 to 2 tons per pallet.